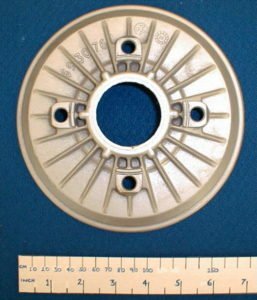 Metal casting is an ancient technique that has a variety of applications and purposes. Civilizations from the dawn of time to present day have used metal working as a way of creating artistic, religious, and practical items. The process of metal casting involves melting metals at high temperatures and using molds to then shape the metal into new items. The furnaces used in metal casting helped pave the way for the Industrial Revolution, without which the course of history would be dramatically different. Metal casting is just one form of metal working that has seen a recent surge in popularity as resources are becoming more affordable and communities are springing up to share information, ideas, and projects. Metal casting requires specialized equipment, knowledge, and some creativity. While metal die casting is used on an Industrial level as the process cuts cost and proves to be highly efficient, many individuals participate in metal casting as a hobby and in artistic endeavors. Many people are drawn to metal casting for one reason or another, although there seems to be two main motivations that stand out. The first motivation that brings hobbyists to practice metal casting is need; people may need to create items or parts for other ventures. Metal casting is a great way to build hard to find pieces for models, restoration projects, and even just small replacement parts needed for common household items. The second motivation for using metal casting is using it as a way to create sculptures or other artistic endeavors. Whatever the reason, small scale metal casting is attractive because that it can be done right at home, either in the backyard or workshop. Individuals working in metal casting are able to create home made tools and equipment like furnaces and molds. Metal casting is only limited by the individual¡¯s desire, so for those with the time and the need, virtually anything is possible. The actual casting process in metal casting has several forms, the most popular being sand casting. Sand casting involves creating a mold from sand which can be created at home, and then pouring the liquid metal into the mold. Afterwards, the metal is allowed to air dry and the mold is removed. This type of casting proves to be the most economical, but other types of casting can provide fuller detail and higher quality results. With time, dedication, and some know how, anyone can practice the craft of metal casting. Metal Casting is a very enjoyable and rewarding craft but it does require a certain amount of education to get started.